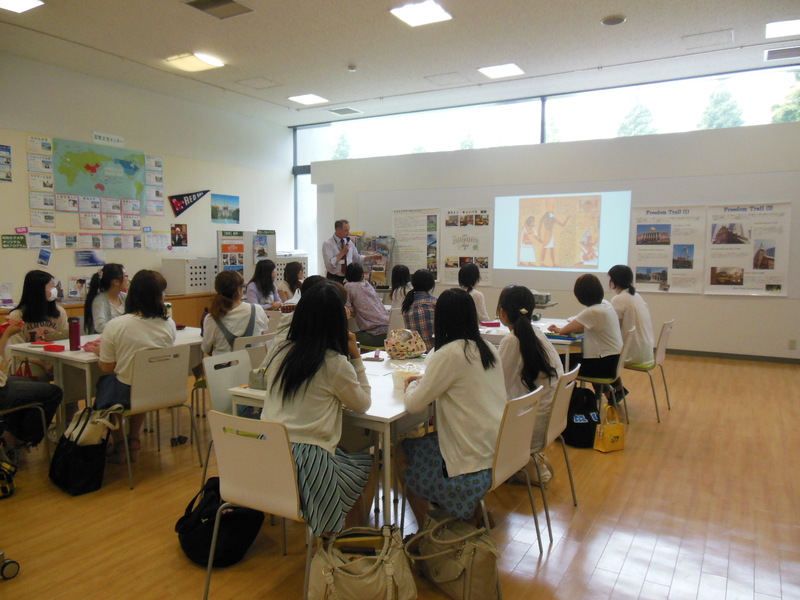 This morning, we headed out to the Edo-Tokyo Museum, where the SSIP participants were able to learn more about the history of Tokyo. There were many interesting artifacts and relics from past times at the museum, including life-size recreations of the Nihonbashi bridge and the living quarters of past generations. 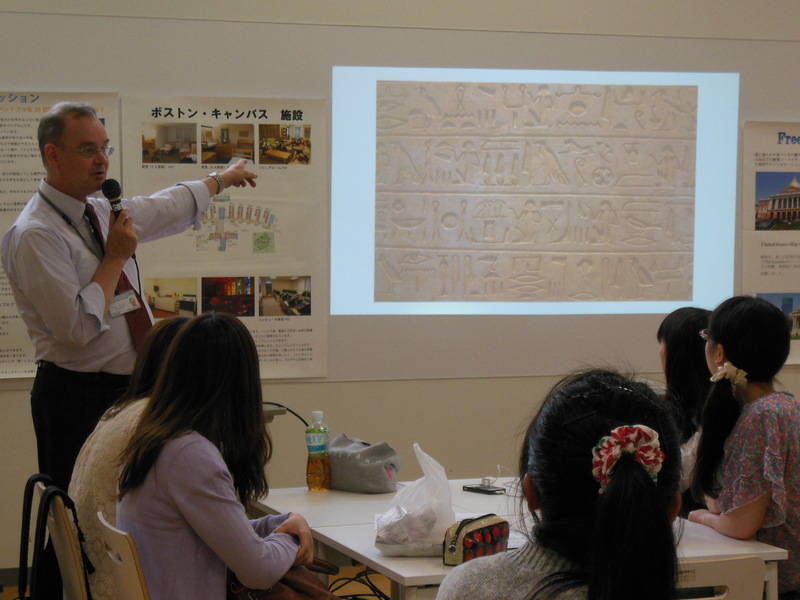 One student said that she really enjoyed the miniature model displays at the museum, and how some of the exhibits were interactive! 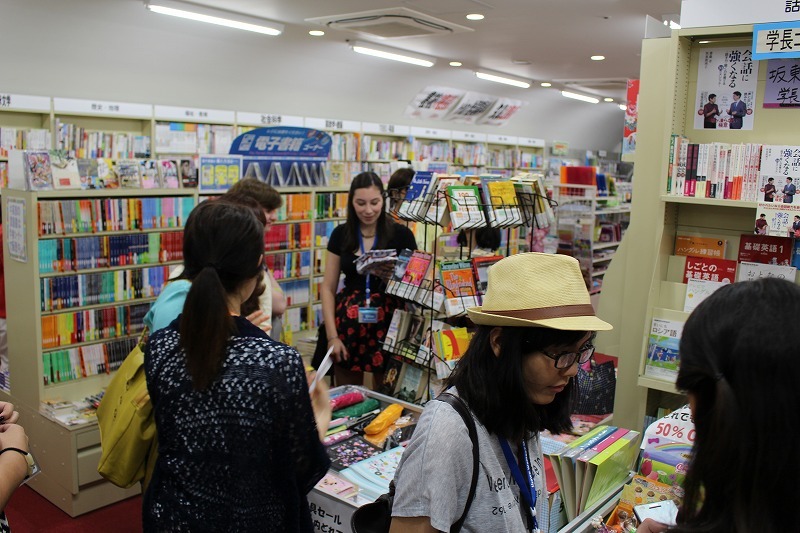 Some participants also admired their souvenir shops where they sold traditional Japanese goods. 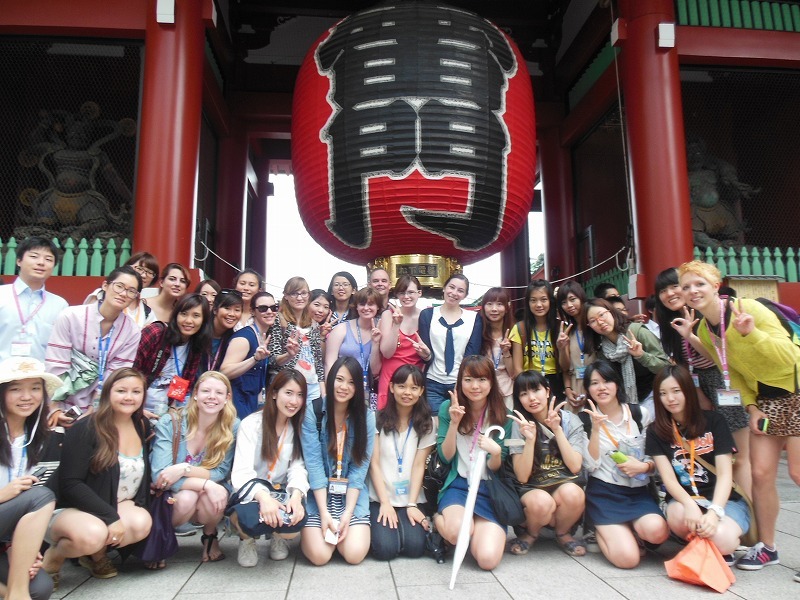 In the afternoon, participants went to Asakusa to tour the streets and visit the historical Senso-ji Temple. 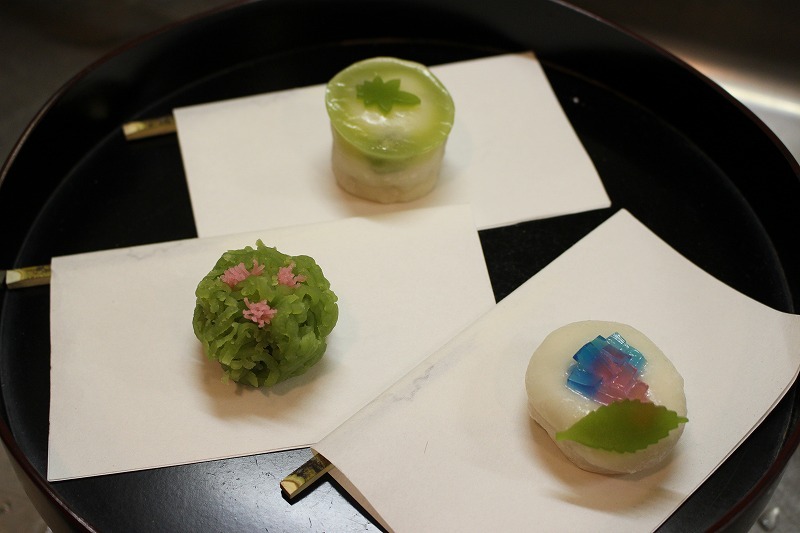 At the temple, they prayed for good luck, and drew fortunes. While some receive good fortunes, others had bad ones, but they were able to leave their bad fortunes behind at the temple. 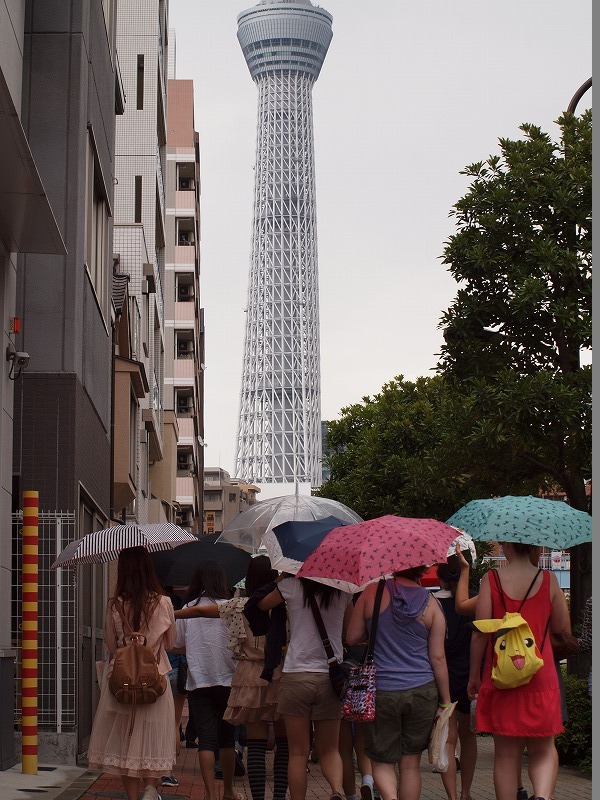 After visiting the temple, the students toured around the nearby streets of Asakusa, which were bustling with people. 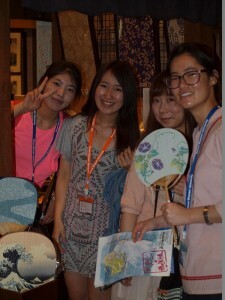 There were many shops in the streets, including stores that had local foods, souvenirs, and traditional wear. 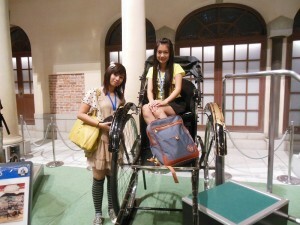 The experience was like traveling into the past! Also, in spite of the rainy weather we were able to walk by the “Sky-tree Tower”. 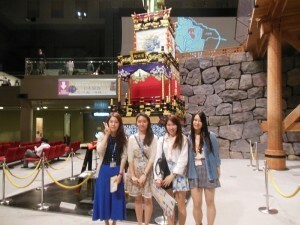 It was so tall, we had a hard time fitting the whole thing inside our picture. 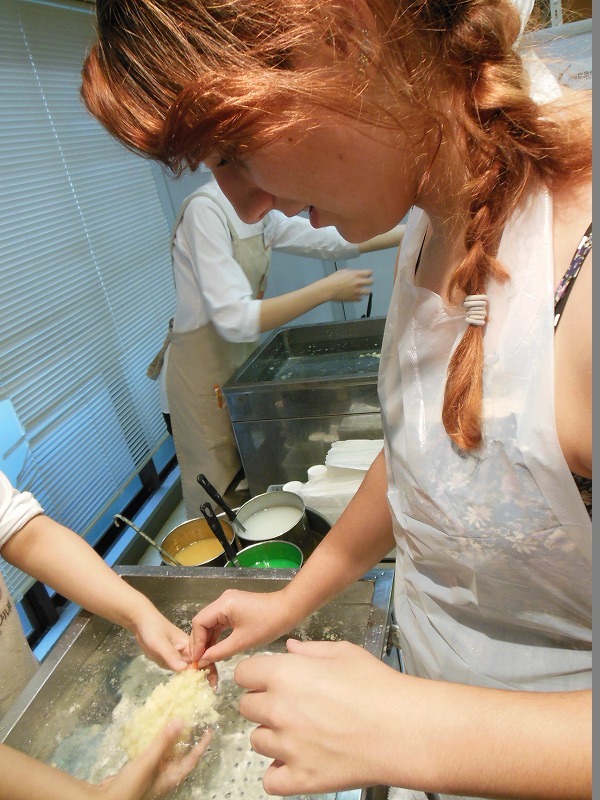 After the little walk, the students also made food samples today. 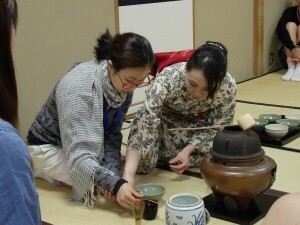 This is actually one of the most popular activities the foreign tourist enjoy, since food samples are an unique Japanese culture that helps the customers choose what they want to eat. 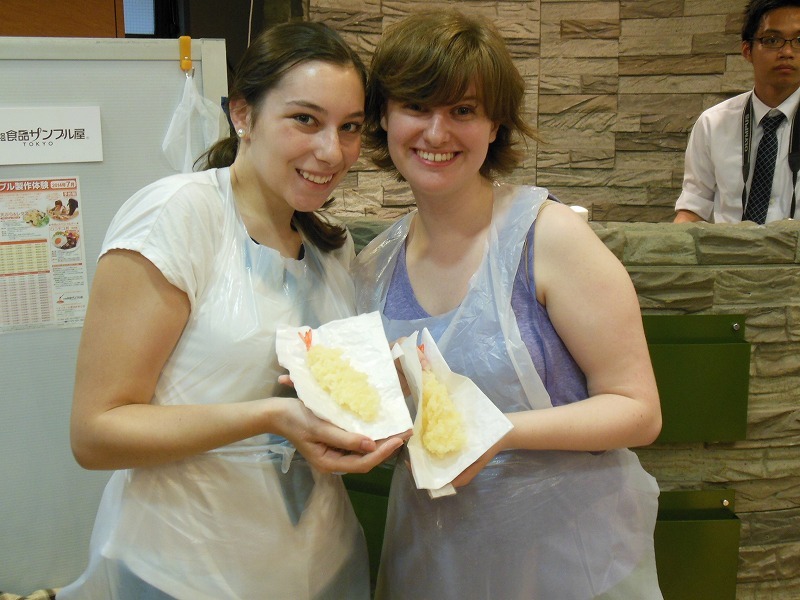 With the help of the staff at the food samples store, students made a shrimp tempura and heads of lettuce. 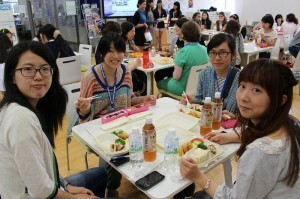 Even though it was their first time, the students manage to make their food samples quite well and realistic. 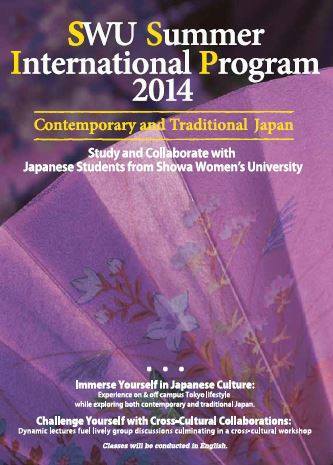 Look at that tempura! Doesn’t it look yummy? The morning was free for the students today, and some enjoyed a nice morning off while some took the opportunity to explore parts of the city, including Harajuku and Shibuya. 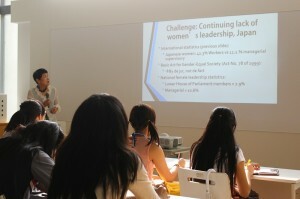 In the second lecture of the day, Professor Bando, President of Showa Women’s University, presented on Japanese Women, addressing issues such as, the employment and wage gap between women and men, what higher education can do to help alleviate this inequality, and current feminist issues (such as the recent scandal concerning sexist remarks made by male members of The Tokyo Metropolitan Assembly). One Japanese student stated that it was a good opportunity for her to “learn [more] about Japan,” and that some of the presentation was new to her as well. 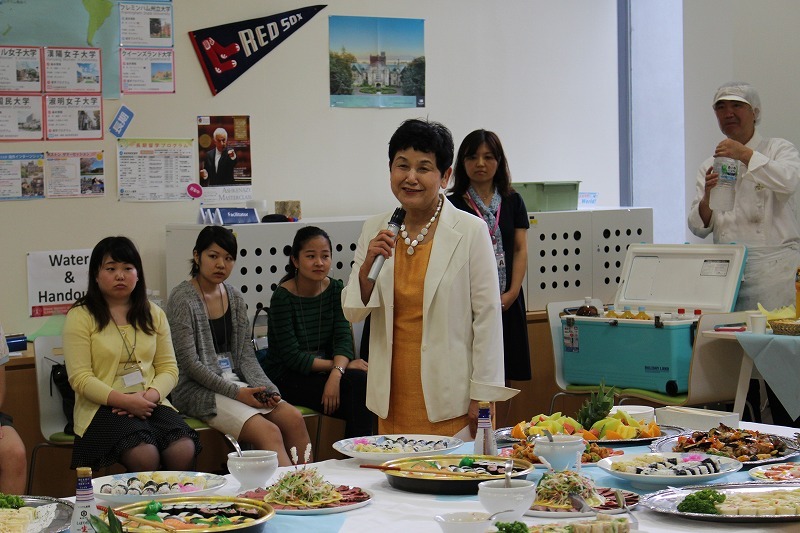 One international student was surprised by some of the statistics President Bando showed comparing Japanese women to women from other countries (and the gender inequality that they indicated), but she was glad that Japanese government support has reduced some of these disparities. There was a discussion between the students about females roles in their own cultures, and the lecture ended on a lighter note about how, despite there still being gender inequality, there has still been some tremendous progress toward equality made in Japan. 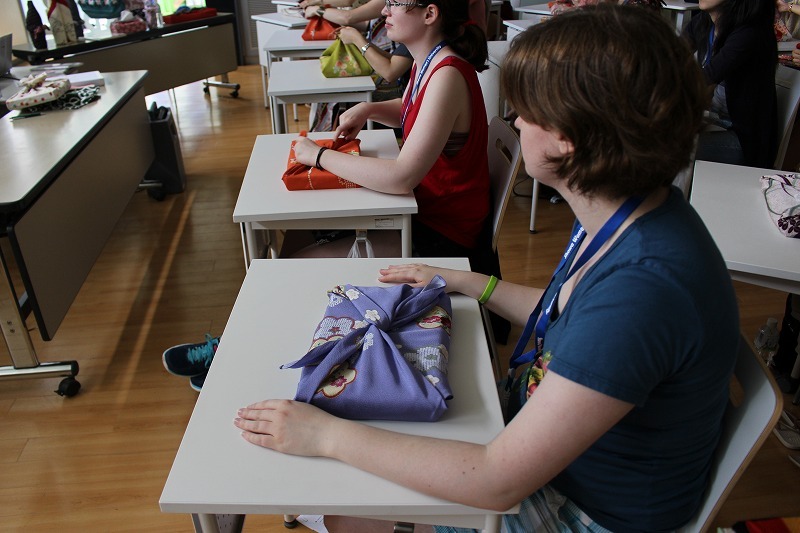 We started out the morning with furoshiki (cloth-folding), and the students learned how to use cloth to wrap items (like boxes and bottles) with simple folds and knots. 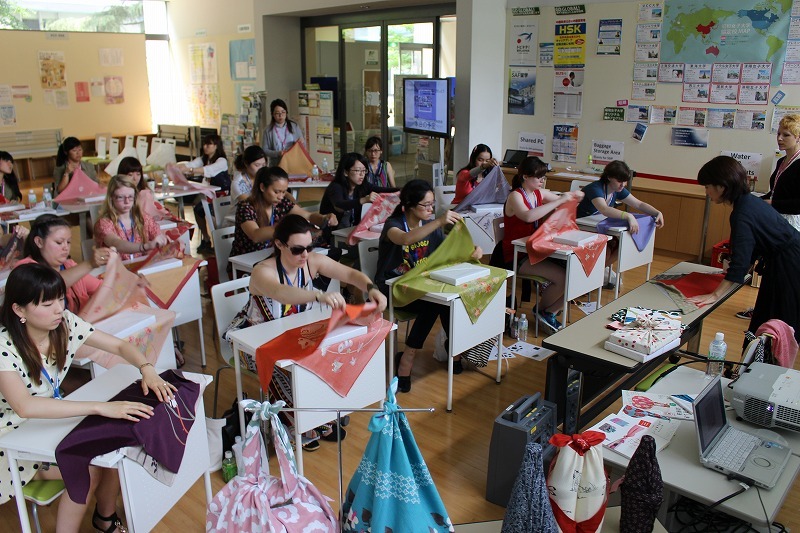 They also made different styles of handbags, and were introduced to how furoshiki is being incorporated in modern Japanese culture. At the end of the presentation and activity, the students were generously gifted with some furoshiki cloth! 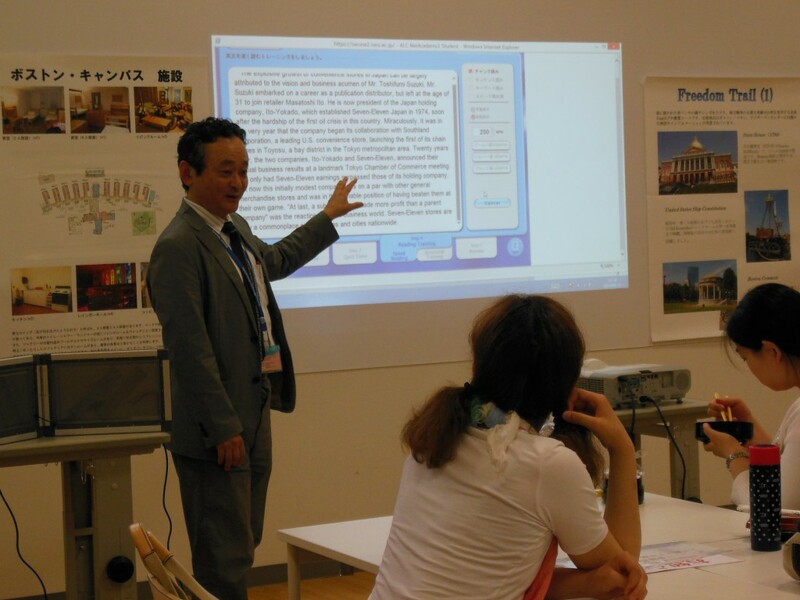 For lunch, the SSIP participants and some Showa students were joined by the BHN (Basic Human Needs) Association that was holding training in Tokyo and also President Bando! Some of the BHN Association members were from the international participants’ home countries, and they had a great time talking and sharing their backgrounds. In the second lecture today, the students learned about the history of Japanese religion from its historical origins to contemporary society. 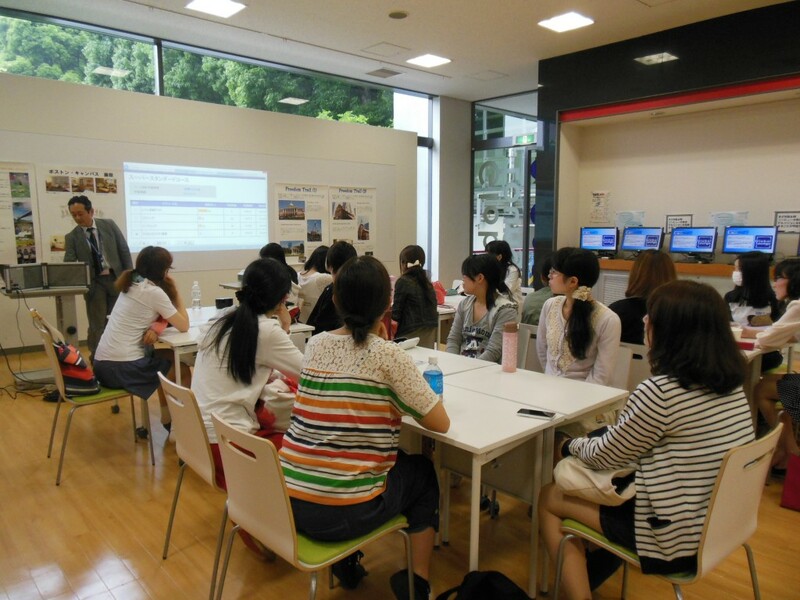 The students analyzed the difference between “Shukyo” and “Shinjin” and also looked at the nature of Japanese religious behavior, religious division of labor, and rituals in an individual’s life. For the second Cross-Cultural Collaborative workshop, Nico gave a lecture on Beauty and the Body and pointed out the different styles of what was considered “beautiful” in Japanese history. 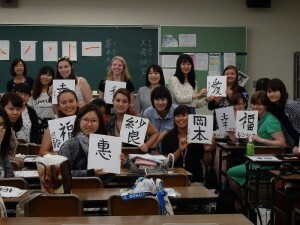 Before arriving to Japan, the students were asked to bring an item from home that is of significant importance to them. 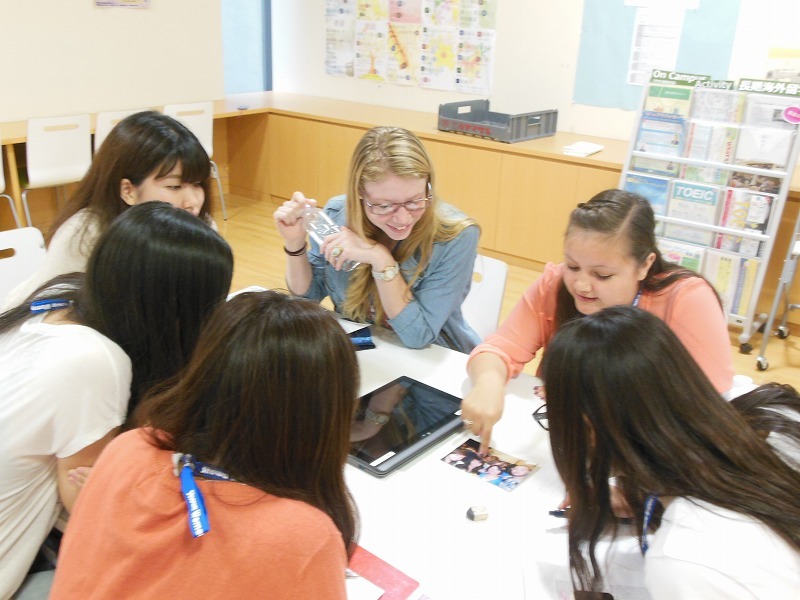 In small groups, they shared their items and explained why it has such meaning to them. 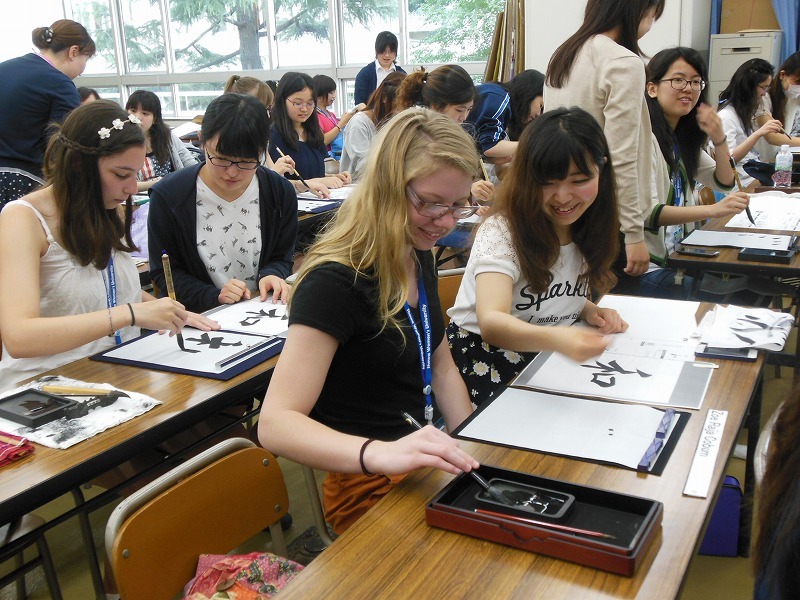 Today we started off with a lecture on Japanese calligraphy in which the students learned about three differents styles: kaisho, gyosho and sosho. 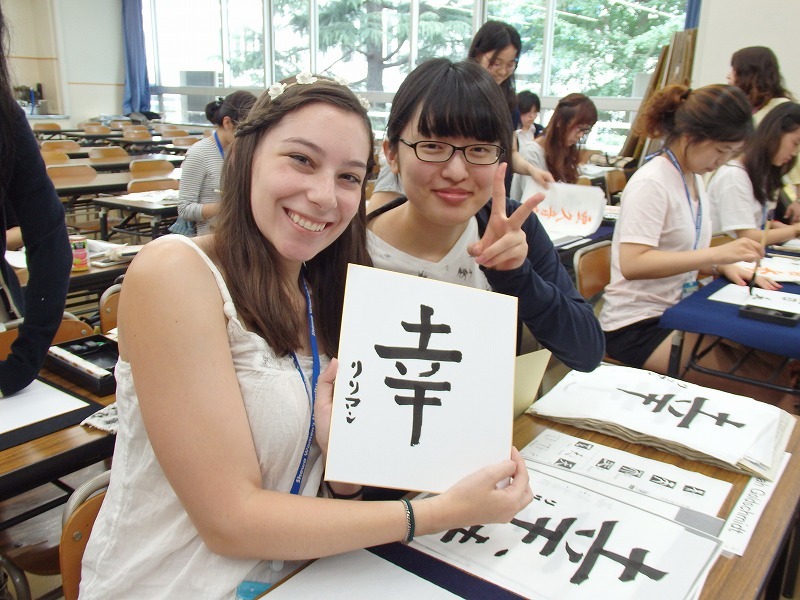 They were able to practice writing different characters with the help of Japanese students. 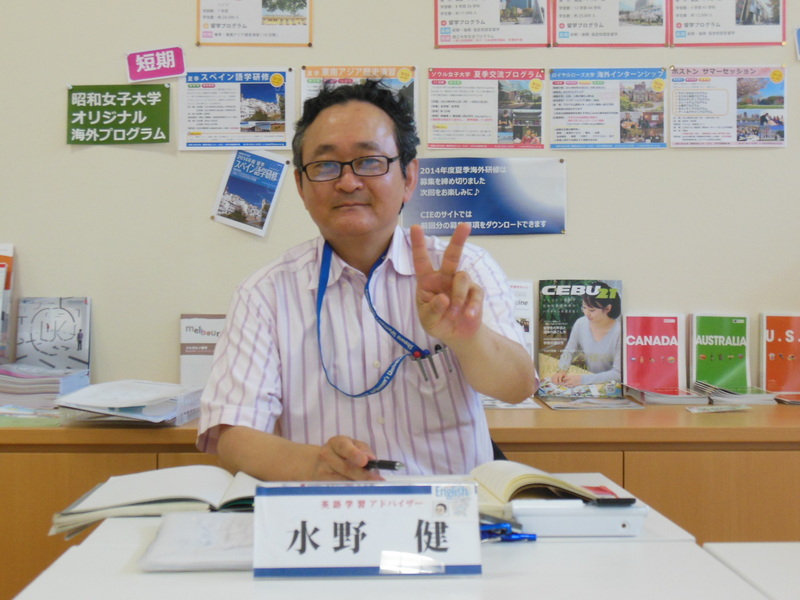 One student thought that using the strokes was a bit difficult in the beginning, but it was also very fun! 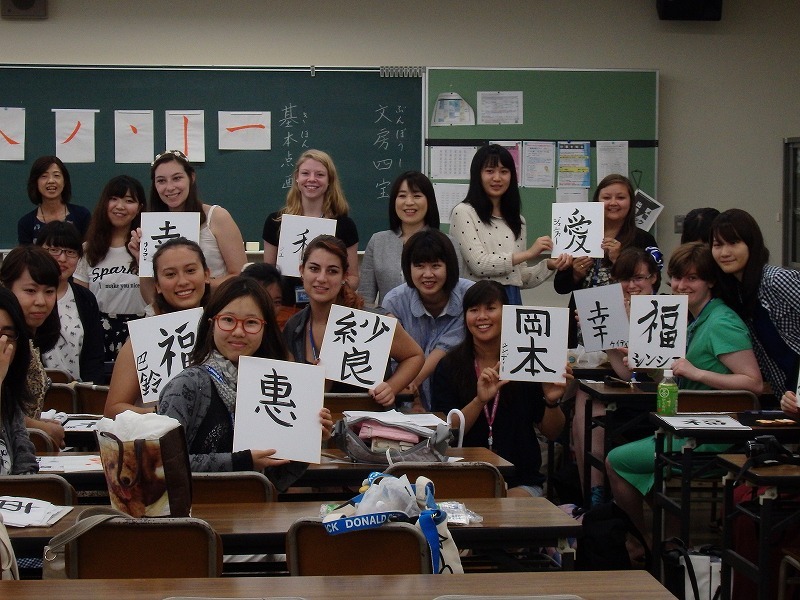 At the end of class, everyone wrote their names or their favorite Kanji-character! 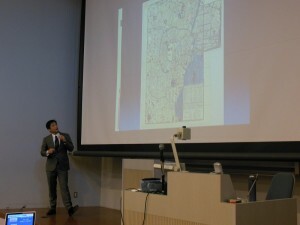 Next, it was lunch time. 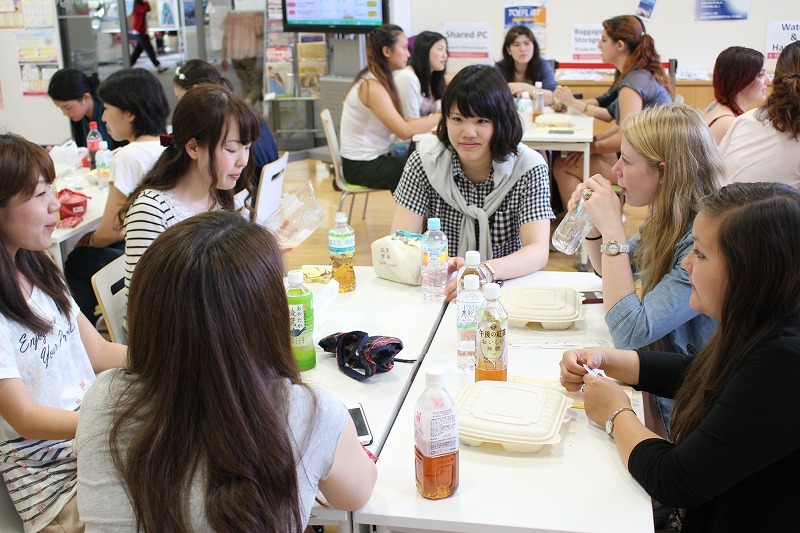 Showa students joined our students for lunch in the Global Lounge, and many new international friends were made! Today was also the first meeting for the Cross-Cultural Collaborative Project! 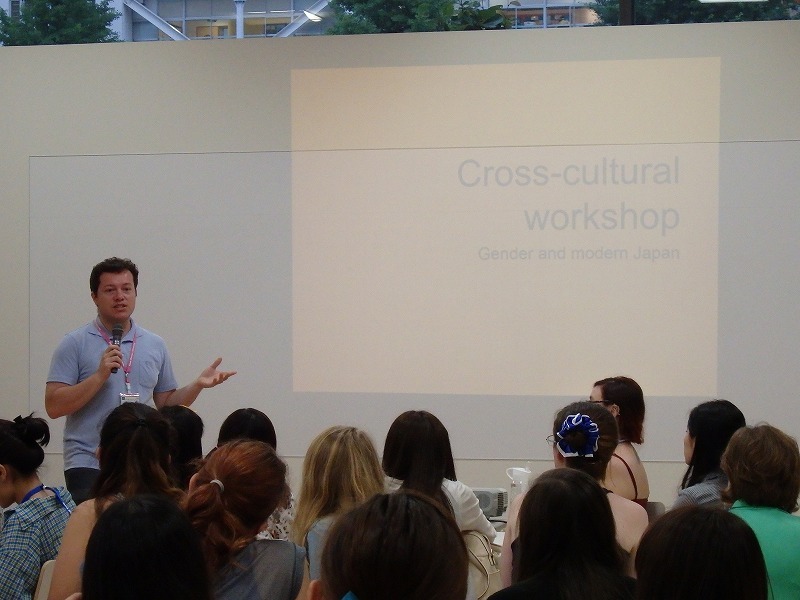 Showa and international students gathered in the Global Lounge for an opening presentation about gender roles. 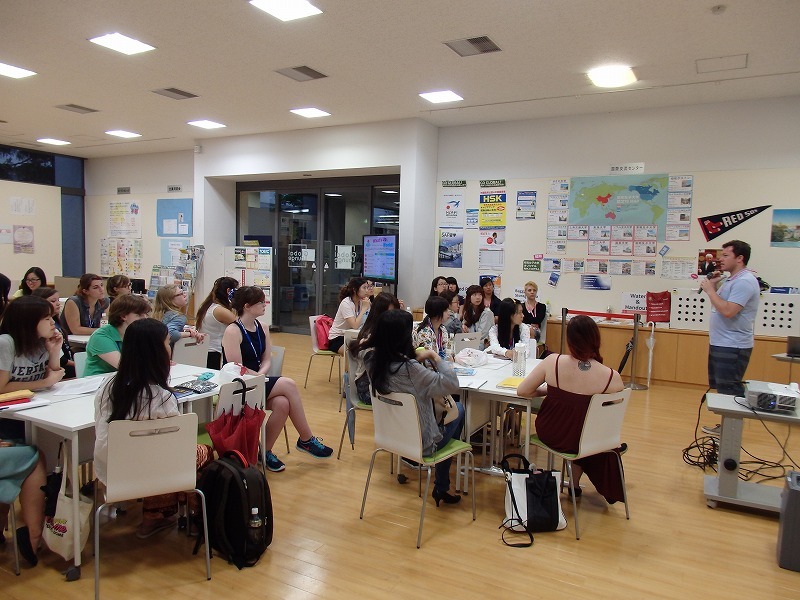 They also did exercises examining gender-specific phrases and slang and participated in an interactive representation of some survey questions. 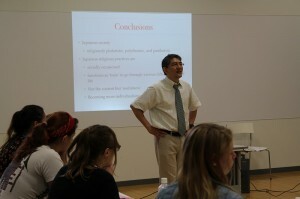 After the workshop ended, there were many lingering thoughts about what they will be learning in the future! 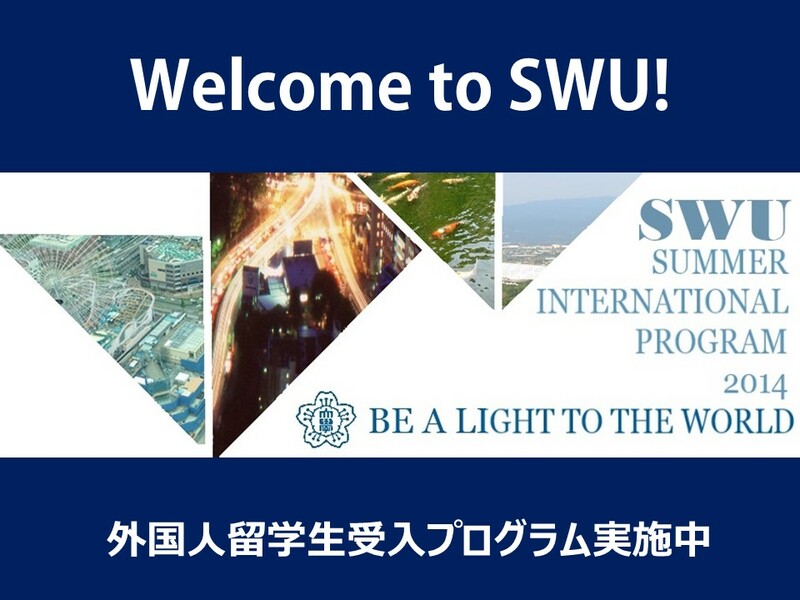 Then the Showa students took our international students on a tour of SWU’s campus. 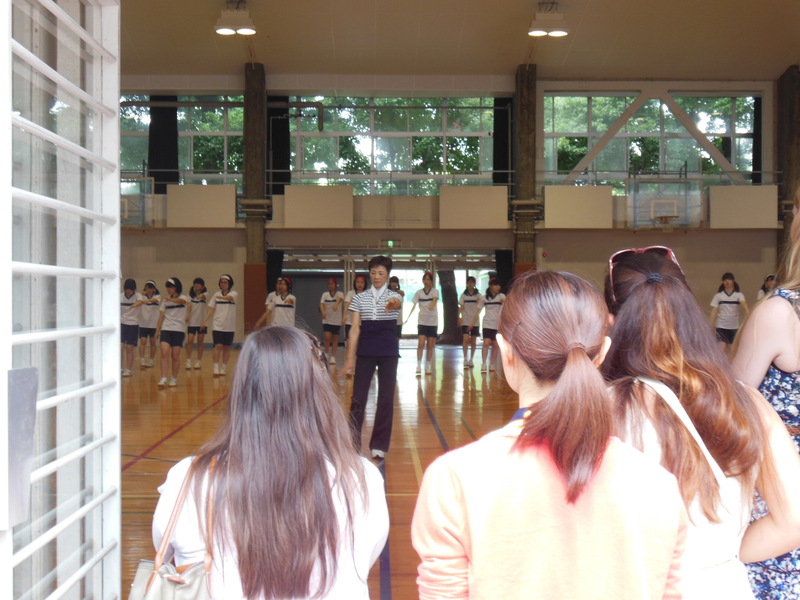 While walking around the campus, they saw middle school students in the gym practicing twirling baton sticks. 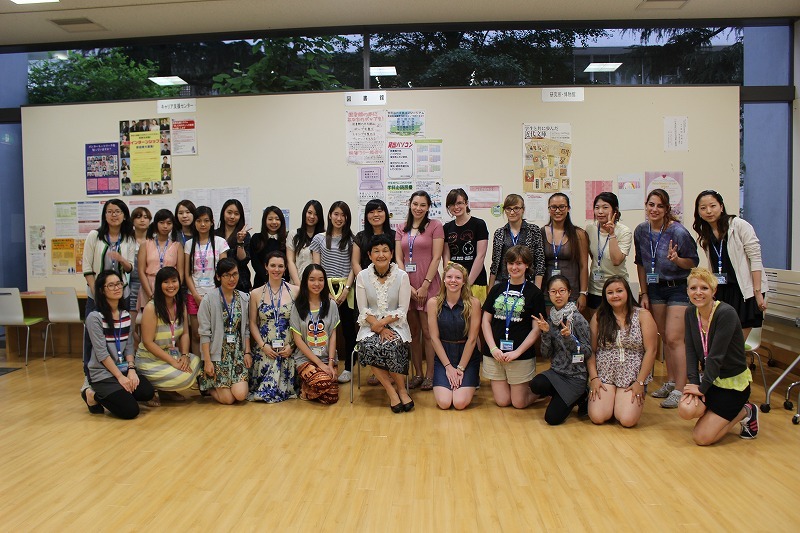 The teacher told us she was teaching her students “Bon-odori”, a traditional style of Japanese dance, and then proceeded to give us a short performance. What a wonderful surprise! Afterward, the Showa students and assistants took the students on a tour of Shibuya. One group saw the famous Hachiko statue, visited the popular Tokyu 109 fashion department store, and took pictures at a purikura booth. 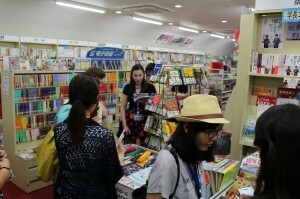 The other Shibuya group went to a Book-Off (used book store), the Disney Store, Tower Records, and also Shibuya 109. 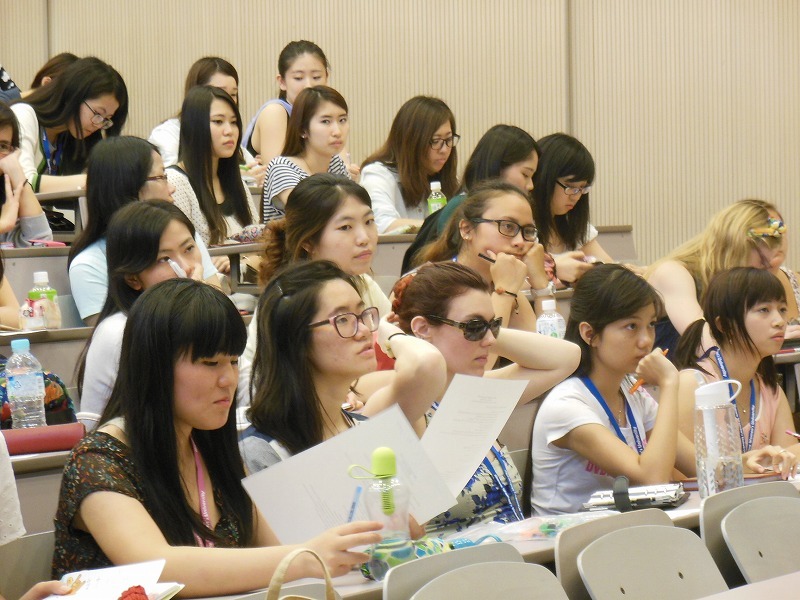 Many of them were interested in Japanese literature and music, and were excited to see Japanese authors and bands that they knew. 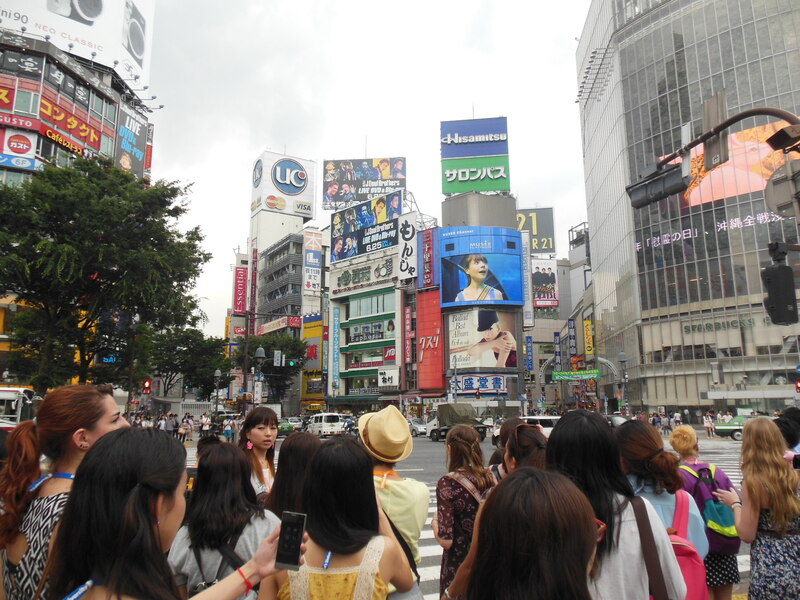 They thought the items in both the Disney store and Shibuya 109 were very cute. One participant, Lillian Goldschmidt, said that she was surprise by how well dressed the employees were in Shibuya 109! 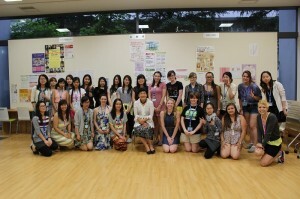 After our Shibuya trip, the group came back to the Global Lounge for the Welcome Party at 17:00. 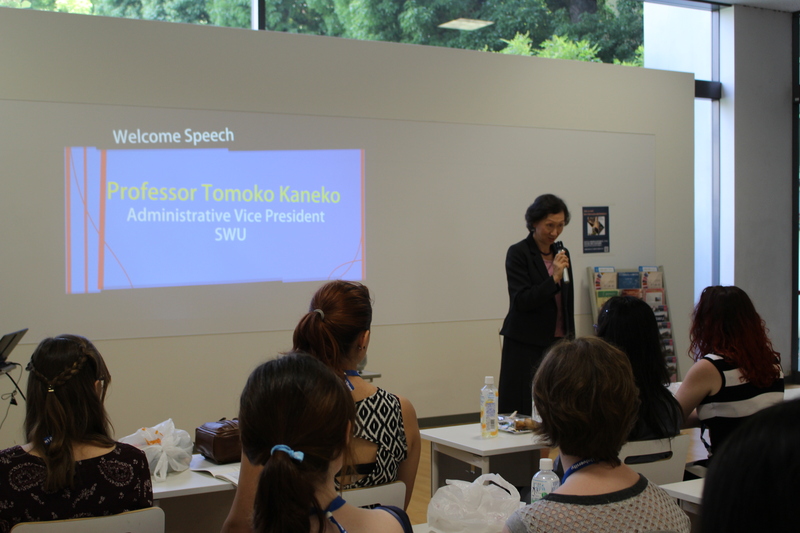 At the party, President Bando made the opening speech, encouraging the learning experience that the students will gain about different cultures and current feminist issues. A delicious dinner was then provided, which include both Japanese dishes and western finger foods. 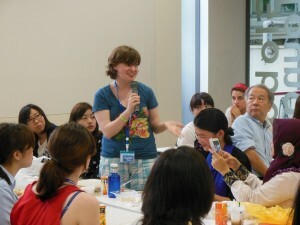 Caitlinn Andris represented the international group in a short speech, and she stated that they were very glad to to have the opportunity to be here in Japan. 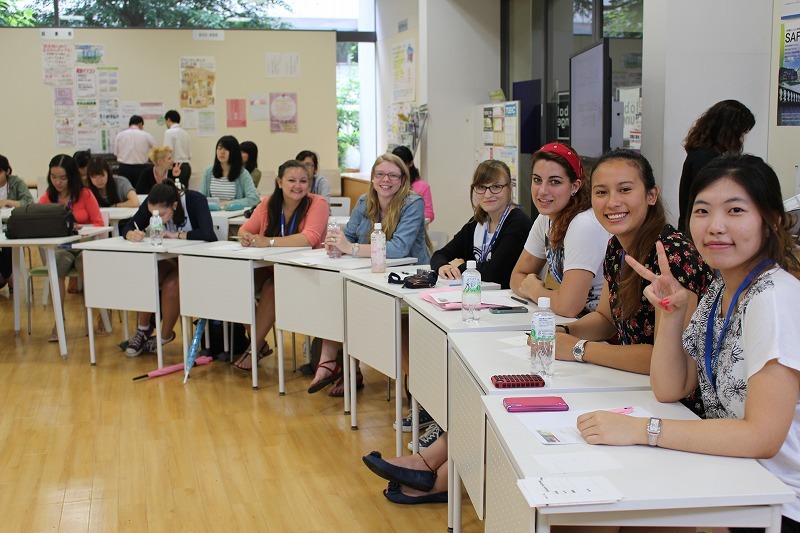 The other international students then made self-introductions, and many of the participants were interested in learning more about Japanese culture and exploring Japan. 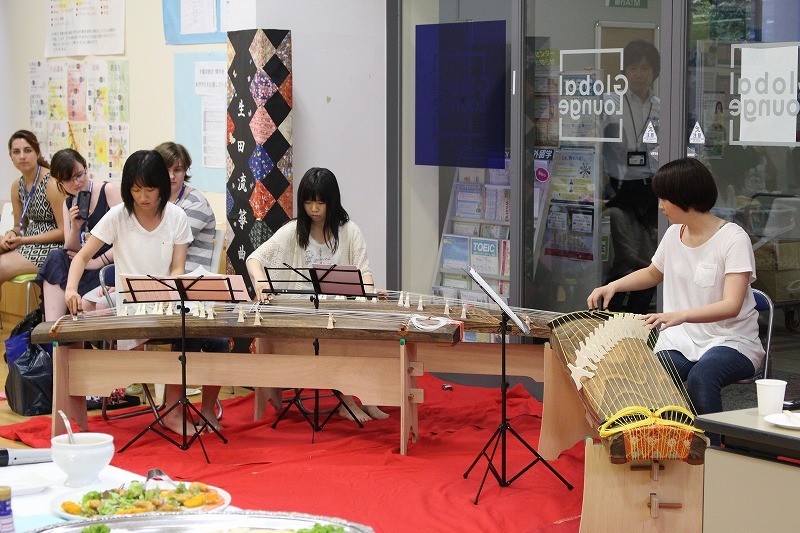 The Koto club then came to perform! 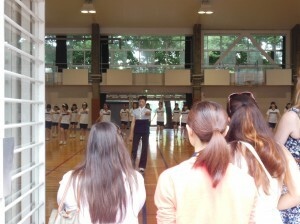 They played two songs (one about sakura and the other a children’s song). 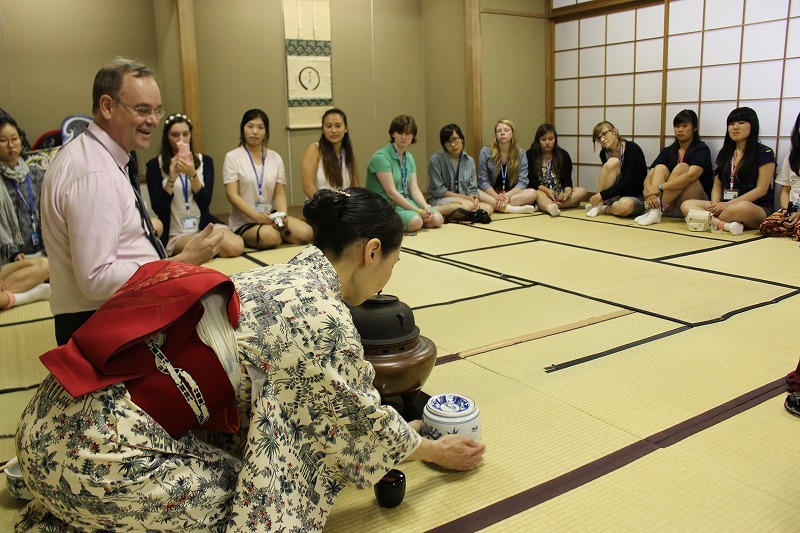 Because the Global Lounge is a western style room, the club members could not play the traditional instrument on a tatami mat, but they still did wonderfully with the standing koto. 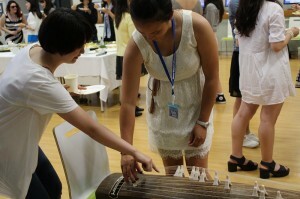 Many of the international students had never seen a Koto before, and they were very intrigued by the performance. Some of them also tried to pluck the strings of a koto guided by a Koto Club member. After the koto performance, China Nishikawa, a senior at Showa Women’s University, represented the SSIP support students in welcoming the international students. 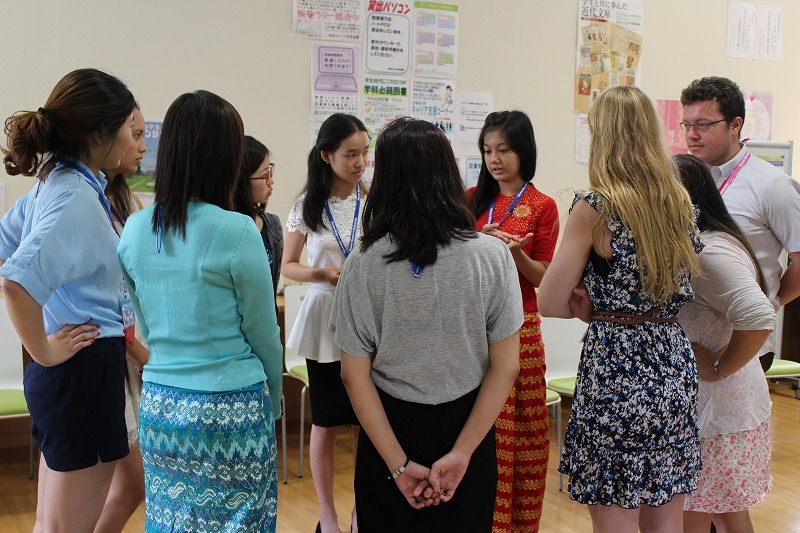 The Japanese support students and also the Japanese SSIP participants also introduced themselves. 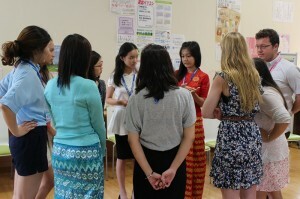 Both the international and Japanese students then mingled with each other, happy to be in such a positive environment! 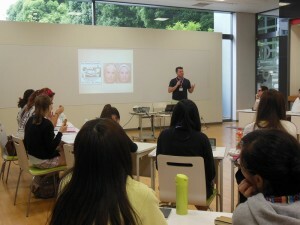 7 Tips for Learning to Write (and speak) Well. 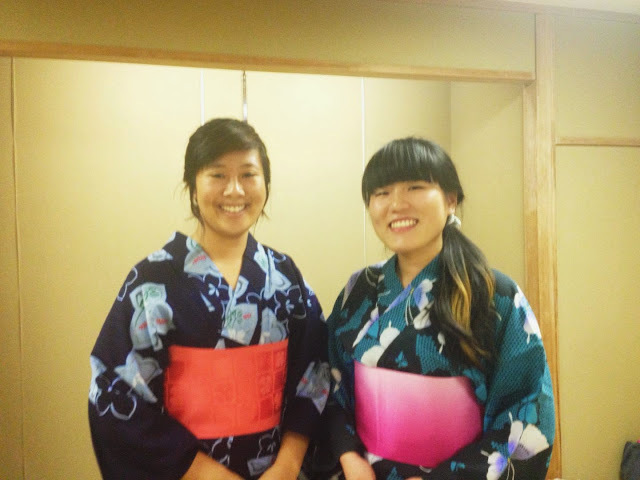 Yesterday I had a great time learning how to wear a Yukata! I definitely underestimated how difficult it is to correctly wear a Yukata. 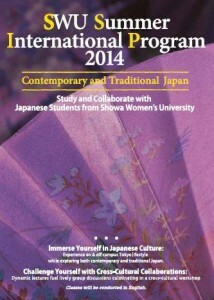 I now have a great appreciation for this practice. 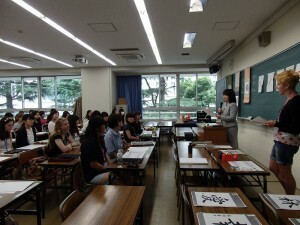 Everyone there was very friendly and helpful in properly teaching us this traditional Japanese art. 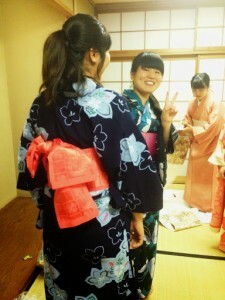 I’m looking forward to wearing Yukata again, and this time, putting it on myself! I had a lot of fun visiting the Kimono Club, where I got to try on a yukata! 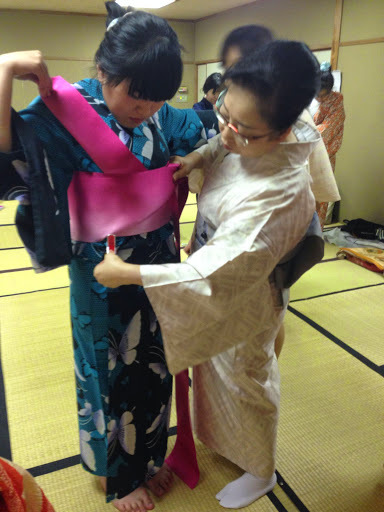 The first time I tried it on, the club members helped me and demonstrated how to wear it. 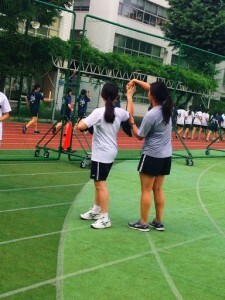 After that, they had me (with some assistance) try it on myself! 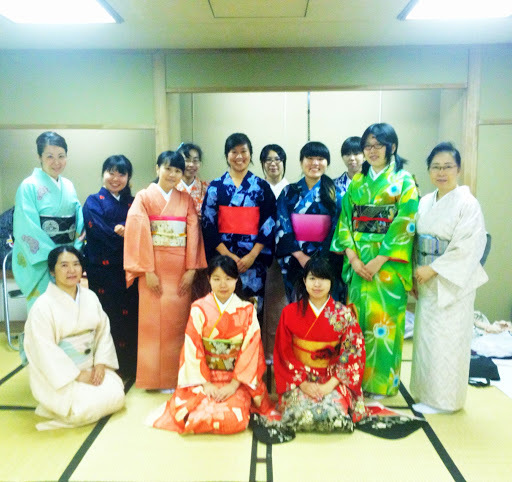 but I think I was able to get by with the guidance of the nice Kimono Club members. 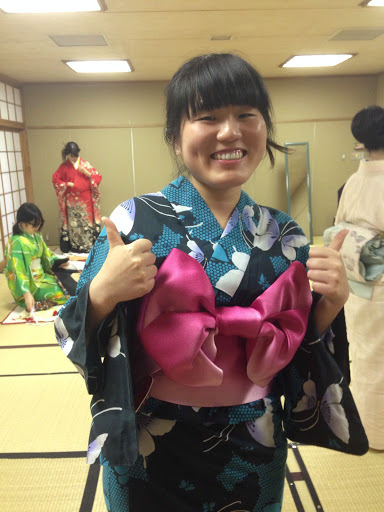 I especially liked tying the obi (belt) into a bow! 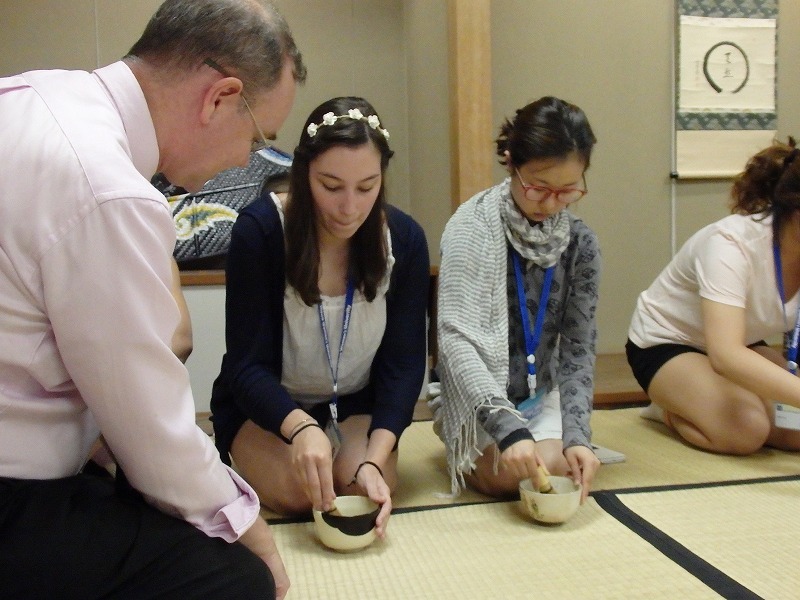 The club members also practiced their English with us, and demonstrated traditional Japanese bowing. I had a blast working with the girls on the softball team! 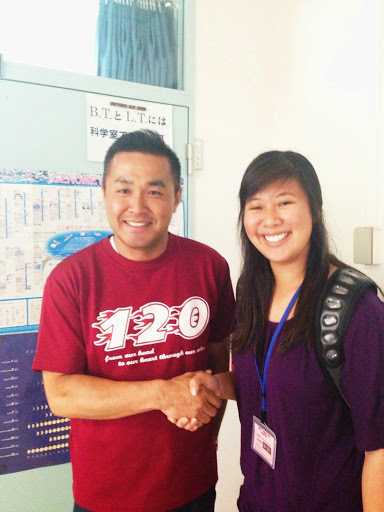 They are so friendly and hard working. 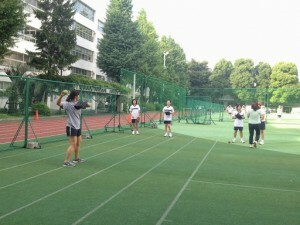 I can see that they are determined to get better everyday. Their attitude is of a true athlete and they have made great improvements in the little time that I have practiced with them. 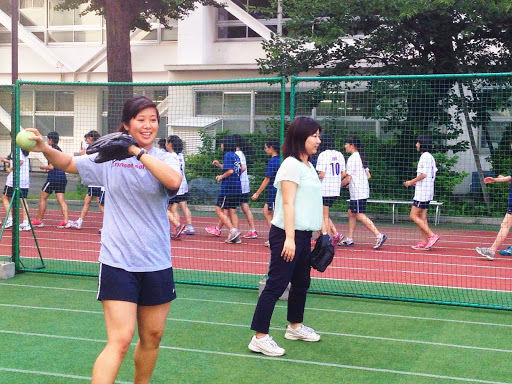 I see great talent on this team and wish them the best of luck for their future as softball players.